Has your world come crashing down at you, as your iPhone is frozen to core? Are the applications soared and unresponsive? 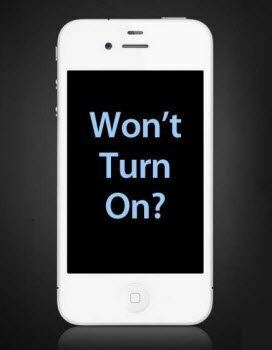 Or, is your iPhone frozen so much so that it won't turn off easily? Whichever case it is, you first have to relax as there is always a way out. And pat yourself, for coming on the right place. Because, this article addresses the problem of how to turn off your iPhone and is packed with four handy methods to resolve your problem. So, sit back and master the art of turning off your iPhone XS/XS Max/XR/X/8/7/6 when frozen by making great use of the upcoming methods. The first aid for the frozen iPhone when it is too hung to turn off is performing a force restart on your iPhone. However, the method for restarting the iPhone varies from model to model. For these versions, you need to hold 'Home' and 'Power' buttons simultaneously until you are able to view the Apple logo over your screen. This way, your iPhone will be forced to restart. To forcefully restart your iPhone 7/7 Plus, press the 'Volume Down' and 'Power' buttons till the apple logo does not appear. The apple logo will be indicative of your device getting restarted. For these models, the first step is to press the 'Volume up' button and release it. Then, press 'Volume Down' and lose it. Now, proceed with holding down the 'Power' button until Apple logo appears and then loosen your fingers off the phone. The alternative method of turning off your iPhone when frozen is by turning off your iPhone with the Assistive Touch – a blank space useful in turning and locking screen. Step 1. From your iPhone, visit 'Settings' and tap on 'General'. Move to the 'Accessibility' option. Step 2. Under 'Accessibility', look out for 'Assistive Touch' and slide the green dot. Step 3. Now, you will notice, a white circle embedded in darker square appearing on the corner of your screen. Step 4. Then, tap on the circle icon to visit the Assistive Touch's settings and click on 'Device' to fetch the device commands easily. Step 5. You can press and hold the 'Lock screen' icon which will revive the iPhone's power off option. This way, you will be able to turn off iPhone when it gets frozen. If your iPhone has stubbornly firmed it's resolute to a frozen screen and won't turn off easily, then Tenorshare ReiBoot can roll your iPhone back to normal screen. The powerful ReiBoot software unbuckles any iPhone issue like your phone getting stuck, frozen, unresponsive or completely blank without denting on your data. Moreover, in just a click, your iPhone can go in 'Recovery mode' without performing time-consuming steps. And, if you are curious enough to know how this software works? Then, make use of the following guide. Connect your iPhone with computer via lightning cable. Now, launch ReiBoot on your system and tap on 'Repairing Operating System' from the main page. From the following screen, ensure to click on 'Start Repair'. Then, the firmware download screen will be prompted, just hit the blue 'Download' tab. Once the package successfully gets downloaded, the screen will be prompted to 'Start Repair'. Wherein, you'll see a progress table. After that, all your iOS problems will come to end. The last method, you can resort to is by going to DFU mode using iTunes. Note that DFU mode clears all device data, you can backup your iPhone beforehand using a free app called iCareFone. It can selectively back up and restore data on iPhone, iPad. 1. Link your iPhone to PC and open iTunes. 2. Now hold down the 'Home' and 'Power' key for about 10 seconds. Release 'Power' key and continue to hold the 'Home' key. 3. If the screen completely turns dark, your iPhone will still be detected in iTunes. 4. A pop-up will prompt, click on 'Restore iPhone' followed by confirming. 1. Repeat Step 1 as above and then hold down the 'Power' and 'Volume Down' key for a couple of seconds. Release hold from 'Power' key but continue holding 'Volume Down' key. 2. Now, proceed with step 3 and 4 under the 'iPhone 6 or below' section. 1. 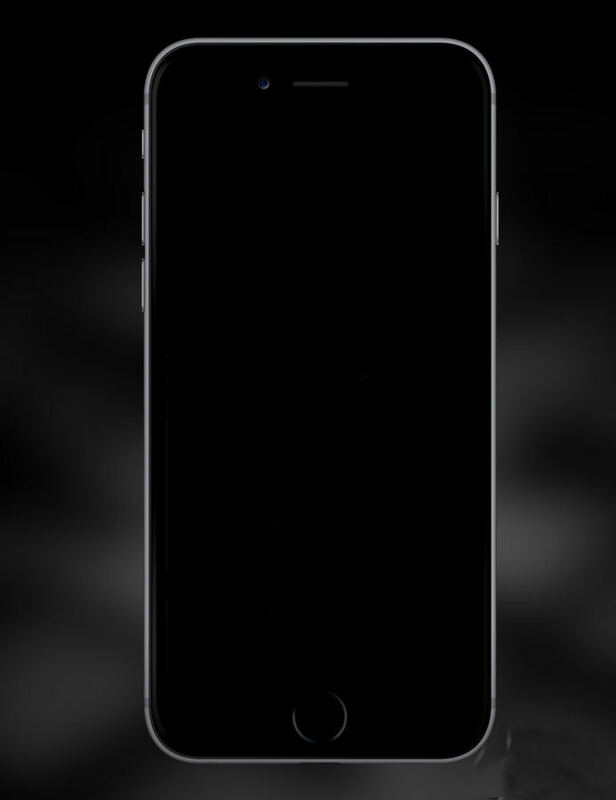 Perform step 1 and press the 'Volume Up', 'Volume Down' and 'Power' keys until the screen goes all black. Now hold, 'Volume Down' key with 'Power' key for 5 seconds. Then, release 'Power' key but not the 'Volume Down' key. 2. 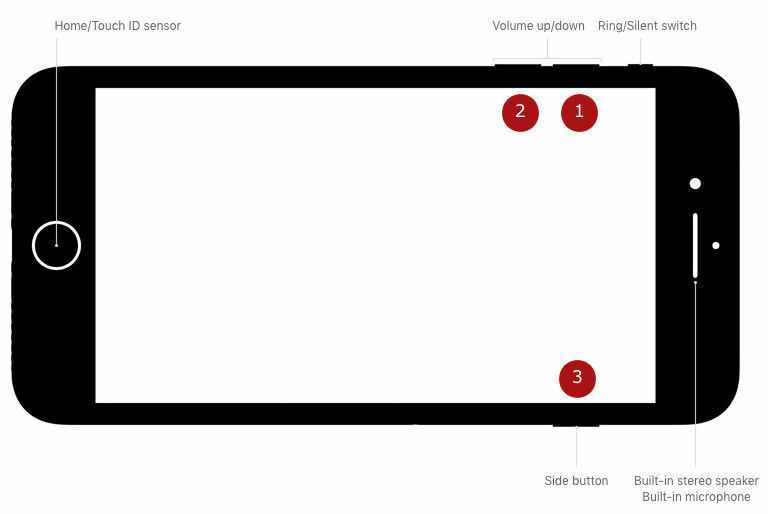 Perform Step 3 and Step 4 of the 'iPhone 6 or below' section. So, these were the 4 most useful ways for turning off iPhone when it got frozen. From the basic way of restarting your iPhone to restoring it in DFU mode, it sorts to resolve your iPhone gets frozen. But, when your iPhone needs serious attention, the ultimate way to mend is by using Tenorsharre ReiBoot – the most effective software that tightens the nuts and bolts your iPhone in no time. It mends almost all the iOS related problems and make your device a new!